Having finally got some beer out to the shops and bars of Bristol, it feels like we can take a breath and reflect on where we are. It was six months ago that we got the keys to GCHQ and it’s been full steam ahead ever since. Of the many decisions we’ve made along the way, a very early one was that we didn’t want to define our beers by style. Beer styles are hard to avoid around craft beer, and they can be useful to give a broad indication of what a beer is like. However, they can also be a barrier to trying a beer, and can mean different things to different people (even the term ‘craft beer’ has many interpretations). But they are widely used, so we thought we should explain our decision a bit more. At Good Chemistry Brewing our first principle is that we want our beer to be inclusive. We want as many people as possible to enjoy our beers and explore the wide range of flavours that beer represents. We recognise that you need an indication of what a beer is like before you buy it. So we do that – slap bang on the front of our labels and pump clips. The flavour circles are a quick way for us to explain the beer to you. 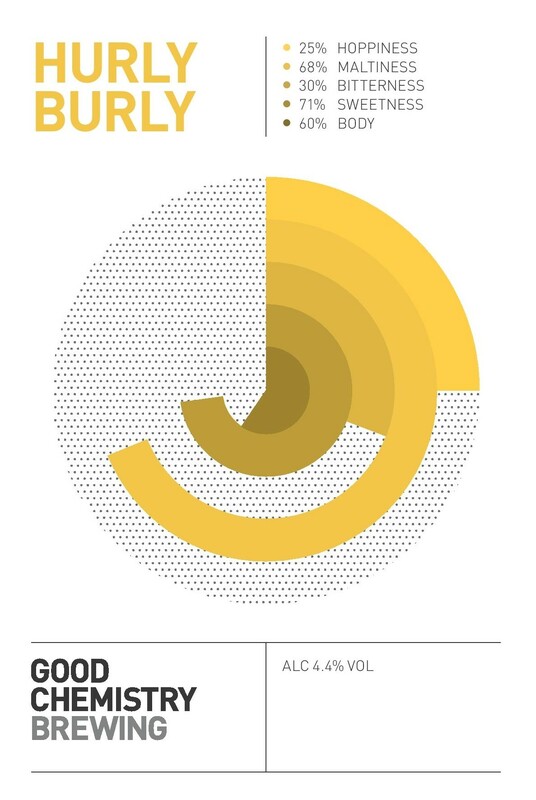 We’ve identified what we think are the five main elements in beer – Hoppiness, Maltiness, Bitterness, Sweetness and Body. There are many other elements too, but we feel these five are pretty standard across all beers and therefore good comparators. 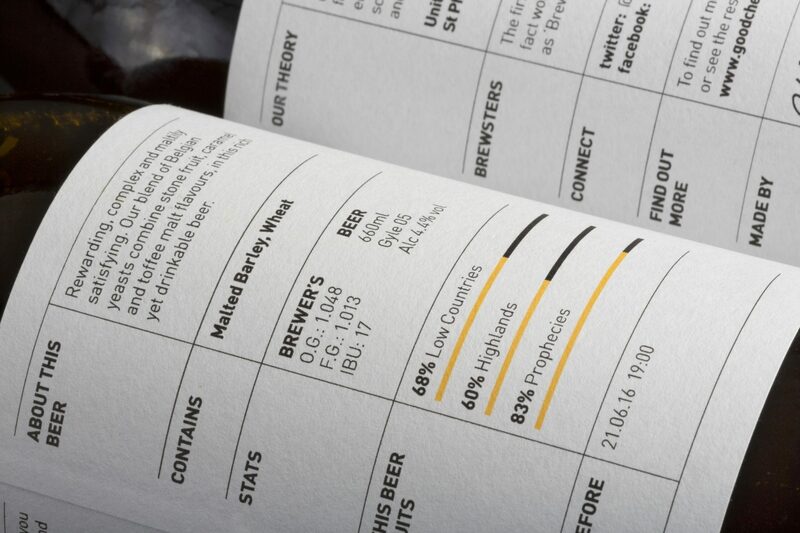 We rate each element based on how prominent it is in the beer and use these ratings to produce the flavour circle on the front of each beer. On the back of our labels we’ll go into more detail about what the beer is like and how we made it. Sometimes we will refer to styles here if we think that’s helpful. But we’ll do our best to avoid beer clichés and superlatives. It’s not our place to tell you that our beer is “perfectly balanced”, we’d rather you made your own mind up about that. 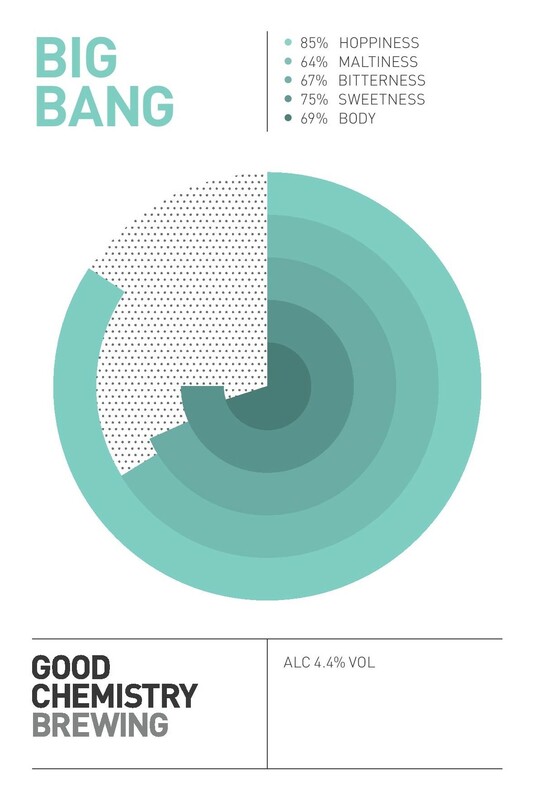 For those of a geekier persuasion, we’ve given you statistics from the brewing process. And for the more abstract thinkers among you, please refer to the ‘This beer suits’ section. We’ll also stick all this information here on our website on the Beer Formulas page. 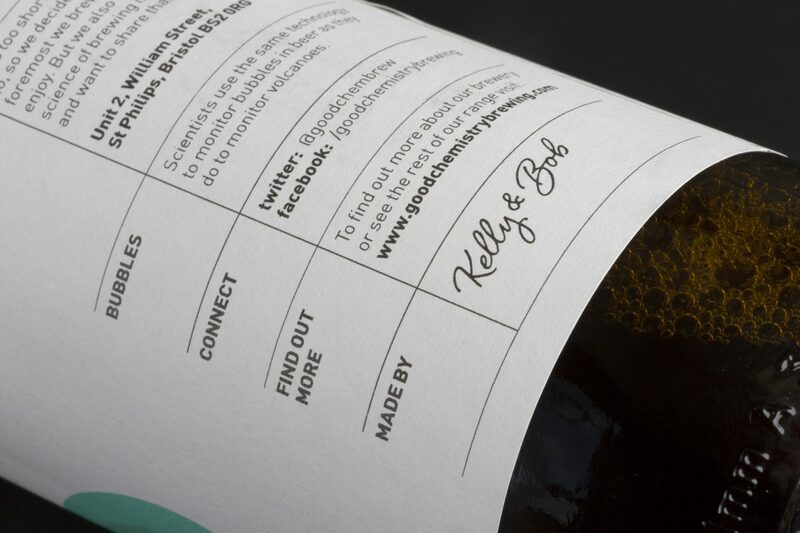 So you won’t need to have the bottle in your hand to have all the details at your fingertips. And, of course, if you’re in the pub and not sure what a beer is like, you can always ask the bar staff! Overall, we hope that the information we give you will be enough to let you decide whether or not you want to try it. If you are well versed in beer style terminology, and you find that helps, you should be able to tell where it sits. Hopefully we can get preconceptions about beer styles out of the way, encourage people to experience beer for what it actually is and enjoy it.